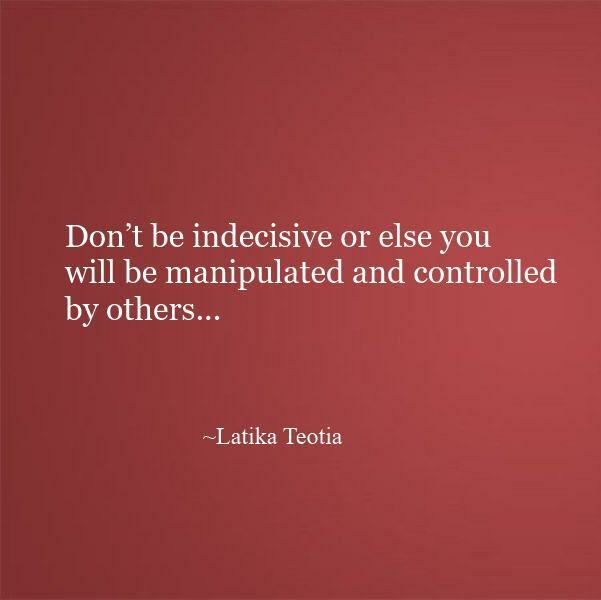 Your indecisiveness can lead you to being manipulated and controlled like a puppet by others. Because you can’t decide- you can be pushed into compromising and bending backwards. Take responsibility of your life and your choices. Seeking support for every choice or decision can make you easy prey to the people you are looking up to. Once in a while it’s OK to take their suggestion but for every little thing going to them is not right and will not help you in the long run either. People will start taking you for granted and lose respect for you.